InfluxDB is an easy to use open-source time series database developed by InfluxData. It is written in Go and optimized for fast, high-availability storage and retrieval of time series data in fields such as operations monitoring, application metrics, Internet of Things sensor data, and real-time analytics. It also has support for processing data from Graphite. A time series database have the series records always associated with a timestamp. You can provide the timestamp with the measurement data or the Influx database will generate it itself. 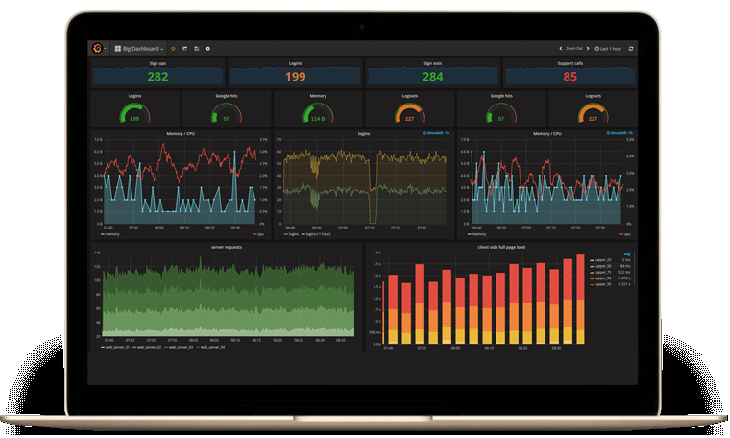 Combining Influxdb+Grafana makes an easy to use database and a very flexible and good-looking dashboard for your next Raspberry Pi datalogger project. TCP port 8086 is used for client-server communication over InfluxDB’s HTTP API. TCP port 8088 is used for the RPC service for backup and restore. 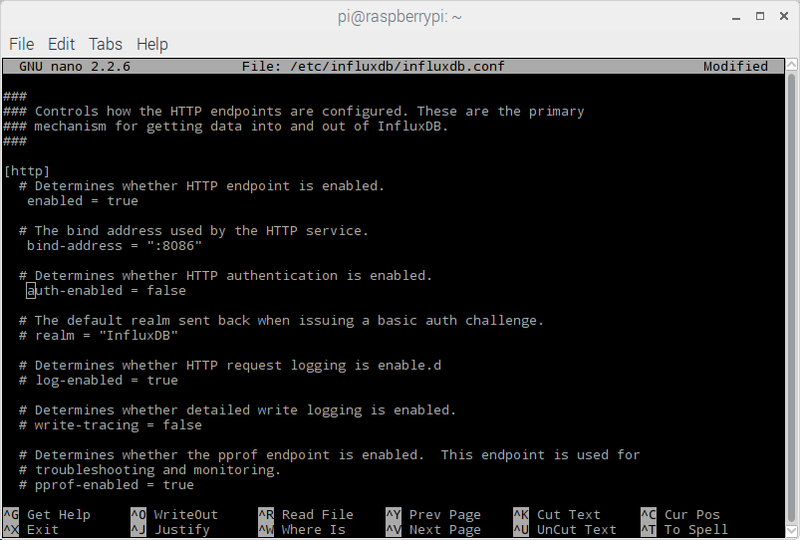 Note: After hitting enter on some commands, a new prompt appears and nothing else is displayed. In the Command Line Interface, CLI, this means the statement was executed and there were no errors to display. There will always be an error displayed if something went wrong. No news is good news! Set the environment variable INFLUXDB_CONFIG_PATH to the path of your configuration file and start the process. InfluxDB first checks for the -config option and then for the environment variable. See the Configuration documentation for more information. Yes, that’s right, on port 8086 you will see a 404 page. The browser will complain: “This site could not be reached” if the database is not found. You could also try to run the Influxdb command shell by typing influx in the terminal. Type exit to get out of the Influx shell. Before you dive into InfluxDB it’s good to get acquainted with some of the key concepts of the database. This document provides a gentle introduction to those concepts and common InfluxDB terminology. 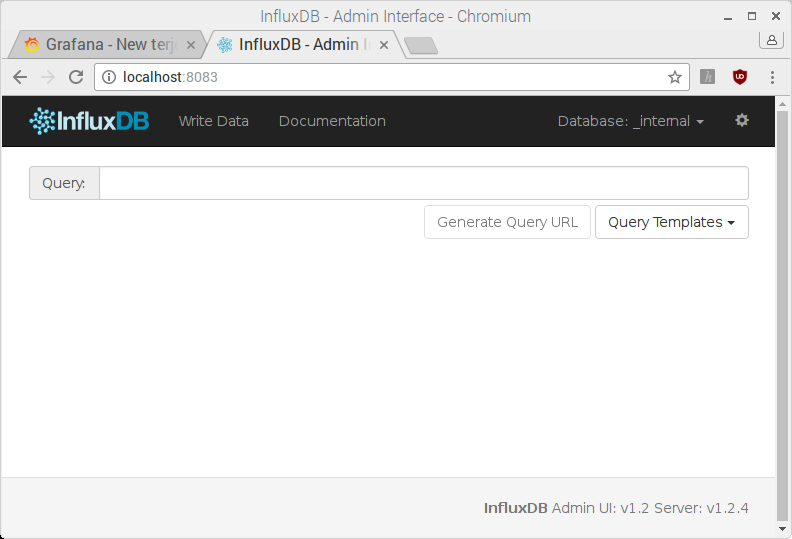 With InfluxDB installed, you’re ready to start doing some awesome things. Getting started guide here. I have decided to install using apt From Bintray Debian Repository at Github. You’ve sucessfully installed Influxdb and Grafana on your Raspberry Pi supercomputer. 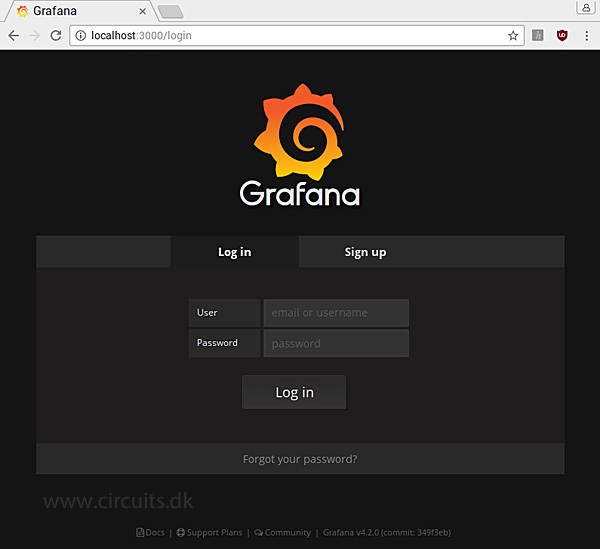 If you’re just starting out, we recommend taking a look at Grafana well made documentation for Basic Concept and Getting Started guides. 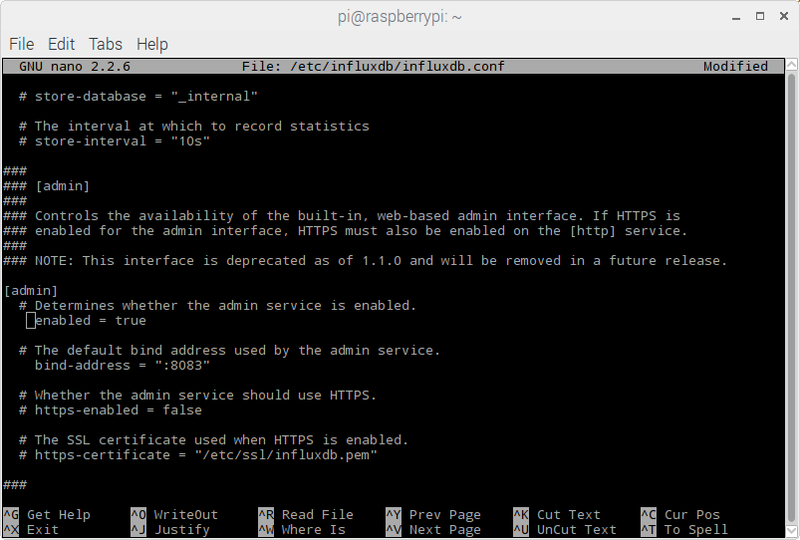 This adds the repos for Raspbian Stretch, the latest OS for Raspberry Pi. Failed to start influxdb.service: Unit influxdb.service failed to load: No such file or directory. Is there a longer tutorial about how to do this? I’m getting error messages at almost every step.